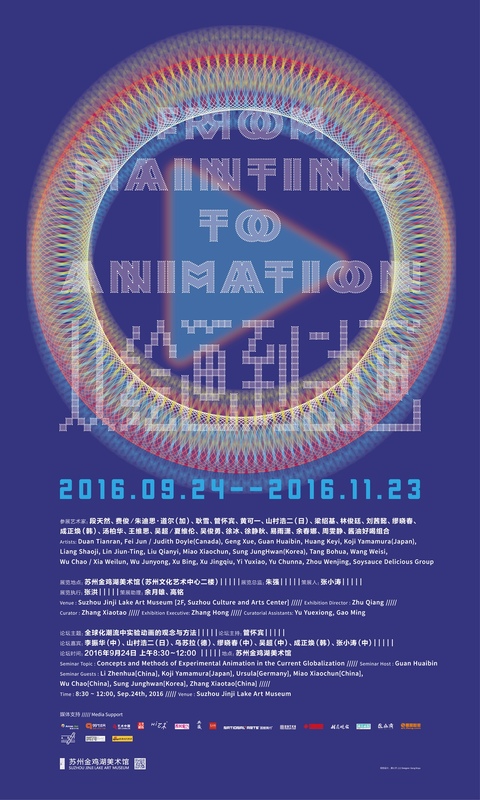 It is very difficult if we try to give a panorama of present independent animation experiments all over the world, but we can observe some representative artists and their art works as well as methodology to illustrate the status quo of multi-element intergrowth in the field, because the growth of Chinese independent animation has an especially close relationship with the internationalization of Chinese contemporary art. There are two important sources of knowledge of independent animation, one being the system of independent film, another contemporary art’s knowledge system. Since 2000, huge changes in online games, Flash animation, ink and wash animation, 3D animation, interactive media installation, sound art, theater, biological art, etc. has happened. The media of independent animation has been greatly explored; some independent animation has had theater-like interaction and experiences with scenes and spaces. Although practitioners in independent animation are in the minority, often surviving underground and making lonely experiments, their works have a significance in the development of digital art and new media. If we trace back for the source of Chinese animation, we find an important clue coming from painting. In the early of 1980s, Chinese ink and wash animation of The Monkey King, Nezha Conquers the Dragon King and Little Tadpole Looking for Mummy have developed an important wave thoughout the world. One reason is that they are characteristic of national feelings and oriental ink and wash language. But why did Chinese ink and wash animation disappear on the international level for 25 years after the 1980s? What kind of model and meaning did Chinese animation bring to world animation film trend since 1930? Why can it not recover at the advent of the market economy after 1985? Why did Japanese animation create an important impact on the world? How does the Chinese animation industry and innovation parks operate to aim at the market and the system? Independent animation started with such a dilemma, so it is necessary to sort out these changes. Video art has started in China in 1996. Since 2000, Internet information technologies are popularized and transmitted, and digital technologies become public art platform, and new media art grows continuously. What has happened with independent animations after 2000? 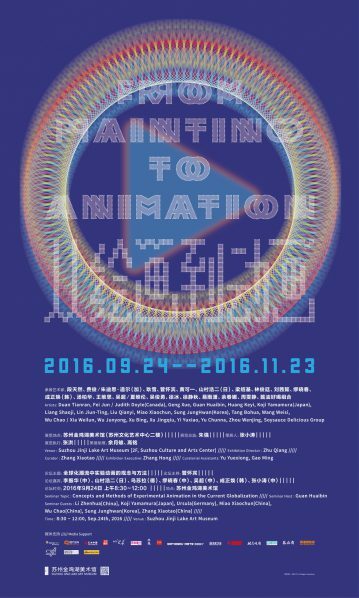 The exhibition entitled “From Painting to Animation” might provide a good deal of insight into this issue. Courtesy of the Suzhou Jinji Lake Art Museum, for further information please visit www.suzart.cn.